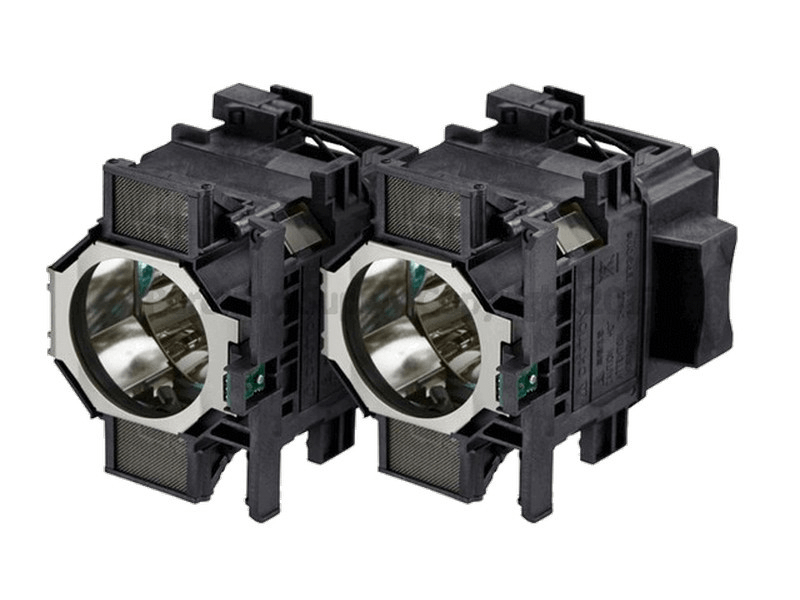 The Powerlite Pro Z9750UNL Epson twin-pack projector lamp replacement comes with genuine original 380 watt Ushio brand NSH bulbs inside rated at 10,000 lumens (This is the original Twin-Pack Epson lamp). The Powerlite Pro Z9750UNL Twin-Pack has a rated lamp life of 2,000 hours (4,000 hours in eco-mode). This Twin-Pack has a higher lumen output and longer lamp life than other cheaper generic replacement lamps being sold elsewhere. Pureland Supply offers an 80 day warranty on all original OEM lamps and free UPS ground shipping. Powerlite Pro Z9750UNL Epson Brand Twin Pack Original Projector Lamp Replacement.